We analyse, control, and monitor the resilient, energy efficient and steady-state operation of water supply networks. Our expertise in hydraulic and water quality modelling and model predictive control combined with our knowledge and experience in the design and implementation of embedded electronic systems has resulted in the development of adaptive water distribution networks with dynamically reconfigurable topology (“DMA 2.0”). This work facilitates the design and implementation of resilient water distribution networks while also improving leakage and demand management, and extending the service life of infrastructure assets. The continuous monitoring and analysis of the dynamic hydraulic conditions in water supply systems using our patent pending InfraSense suite of technologies. The implementation and control of adaptive water distribution networks with dynamically reconfigurable topology (“DMA 2.0”). Our team has significant expertise in delivering complex cross-disciplinary research and development projects and experimental programmes. Dr Ivan Stoianov is a Senior Lecturer in Water Systems Engineering in the Department of Civil and Environmental Engineering at Imperial College London. He holds a PhD, MSc, and DIC in Civil and Environmental Engineering from Imperial College. Dr Stoianov founded and leads InfraSense Labs. His main interests are in experimental and analytical research in hydraulics, hydroinformatics, and real-time monitoring and control of urban water systems. The research is supported by Bristol Water PLC, Severn Trent Water, Essex and Suffolk Water, Thames Water Utilities Ltd, Cla-Val Ltd, and NEC. Previous partners include Intel Research, SAP, ABB, Anglian Water and Yorkshire Water. Dr Stoianov has a track record of setting up and successfully delivering complex cross-disciplinary research and development projects such as the MIT–Intel Water Systems Project for the City of Boston (the MIT–Intel project has been utilised in establishing the MIT Center for Environmental Sensing and Modeling, CENSAM) and the WINES EPSRC project in Smart Infrastructure (EP/D076838/1). Dr Ivan Stoianov and colleagues from Imperial College and Cambridge University won the 2010 Telford Gold Medal award of the Institution of Civil Engineers for their paper Wireless Sensor Networks: Creating ‘Smart Infrastructure’, published in the ICE Proceedings, “Civil Engineering”, in August 2009. 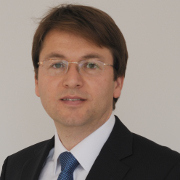 Dr Stoianov is now the Principal Investigator (PI) for the NEC–Imperial Smart Water Systems Project, and also a PI for industry funded projects with Bristol Water, Severn Trent Water, Essex and Suffolk Water, Cla-Val, and NEC with a current project portfolio of £2.6million (2013–2016). He lectures Water Supply and Distribution Systems (CI-EE-27), Hydroinformatics (CI-EE-13) and Computational Methods I (CI-121). 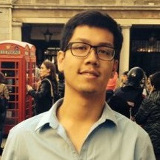 Jiramate Changklom is a PhD student for InfraSense Labs. His research interests focus on modelling the characteristics and operation of control valves and their integration in computationally efficient hydraulic modelling and control algorithms for the implementation of adaptive water distribution networks with dynamically reconfigurable topology. Jiramate has Masters degree in Physics from the University of Oxford (2013). He first came to the UK to study for A-levels after receiving a Thai Government scholarship in 2008. 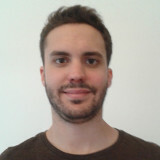 Filippo Pecci is a PhD student for InfraSense Labs. His research focuses on scalable optimization methods for large scale water distribution systems. In particular, his work investigates the co-design problem of optimal valve placement and operation in water distribution networks, addressing multiple objectives ranging from minimization of pressure to improved network resilience. Filippo has a Masters degree in Mathematics from Università degli Studi di Padova, Italy. His PhD programme is funded by NEC Central Research Labs. Hooman Armand is a PhD student for InfraSense Labs. His research interests focus on investigating and modelling the impact of network topologies (sectorisation/DMAs) on the deterioration of water quality in water supply systems. Hooman gained Bachelor’s degree in Water Engineering in 2008 and a first class honours MSc degree in Water Resources Technology and Management from the University of Birmingham in 2010. 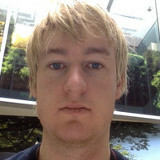 Euan Wilson is an EngD/PhD student for InfraSense Labs. His research focuses upon biofilms and biofouling, and the development of reliable in-pipe and reagent-free water quality sensors. 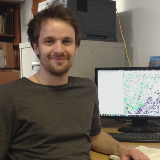 Euan’s PhD project is jointly supervised with Dr Danny O’Hare, Department of Bioengineering Euan holds a BSc (Molecular Biology, Biophysics and Biochemistry) from the University of Glasgow and MRes in Medical Biochemistry from the University of Strathclyde. Euan has previously worked for Scottish Water. 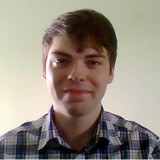 His current EngD/PhD position is funded by Bristol Water, Cla-Val and the STREAM Engineering Doctorate programme (EPSRC). 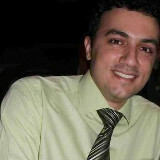 Hossein Rezaei is a STREAM EngD/PhD student for InfraSense Labs. His research interests focus upon investigating the occurrence of hydraulic transients and instabilities in water supply systems and their impact on the deterioration of network assets. 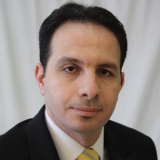 Hossein is a chartered Civil Engineer and member of the Institution of Civil Engineers who has previously worked for Halcrow/CH2M Hill consultancy company. He holds a degree in Civil Engineering and MSc in Hydroinformatics and Water Management (University of Newcastle). His expertise includes water supply asset management and hydraulic modelling of distribution systems including pressure transients. Hossein is a qualified PRINCE2 practitioner and has experience in managing small to medium-size projects, including client-facing roles. He has been awarded scholarships from DAAD, the European Commission and EPSRC. His current EngD/PhD position is funded by Severn Trent Water and the STREAM Engineering Doctorate programme (EPSRC). 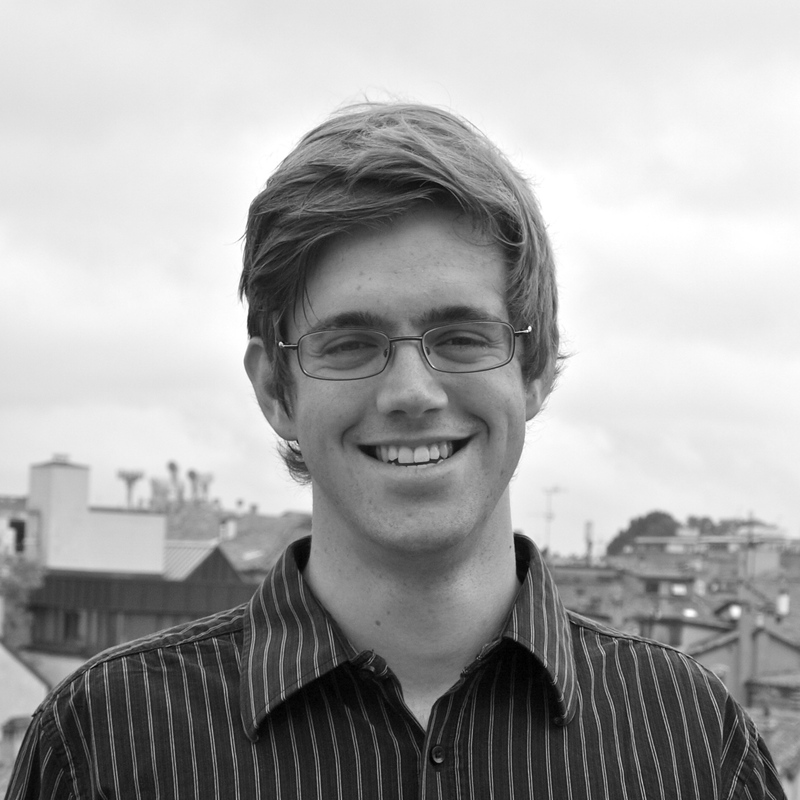 Ruben Menke is a PhD student for InfraSense Labs. His research interests focus on pump scheduling with the view that water utilities could be utilised as an energy storage component of future energy systems that use large amounts of variable renewable resources. 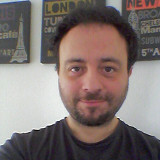 Ruben completed his MEng in Mechanical Engineering at Imperial College London. In his undergraduate degree he specialised in fluid mechanics, and investigated droplet collisions while on a year abroad study at TU Delft in the Netherlands. His current PhD position is funded by the Grantham Institute/Climate KIC. Ruben has set up and maintains the WDS benchmarking site found here. Robert completed his PhD studies at Imperial College London (InfraSense Labs) in September 2015. Robert was jointly supervised by Dr Ivan Stoianov and Dr Panos Parpas. 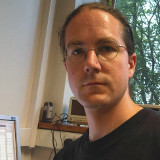 His research interests focussed on computationally efficient hydraulic modelling and control algorithms for the implementation of adaptive water distribution networks with dynamically reconfigurable topology. This thesis introduces a novel approach to the operational management of water distribution networks, where DMAs are dynamically aggregated for improved network resilience and pressure management, and segregated for leakage monitoring at night. This is facilitated by replacing closed boundary valves with self-powered, remote control valves (dynamic boundary valves). The operation of a dynamic topology can therefore successfully eliminate the disadvantages of conventional DMAs, whilst retaining its success in leakage management. An analytical and experimental investigation is carried out to understand the performance and operation of dynamic DMAs. A novel optimisation algorithm based on sequential convex programming (SCP) is proposed for the optimal control of valves in a network with dynamic topology. The SCP method takes advantage of computationally efficient solvers that facilitate prompt and reliable convergence. Control is actuated in an experimental programme set up on a real, operational network supplying approximately 8,000 properties. Data acquired indicates pressure reductions of 11.0%, leakage reductions of 1.7M litres weekly, and improved resilience to failure including small bursts and a large burst incident, where 1,400 properties maintained a supply that would otherwise have been without water. The work was funded by EPSRC, Cla-Val and Bristol Water. Robert has joined Inflowmatix Ltd, a technology start-up company based on research from InfraSense Labs. Asher completed his EngD studies at Imperial College London (InfraSense Labs) under the supervision of Dr Ivan Stoianov and Mr Dennis Dellow (Northumbrian Water). His research interests focussed upon embedded and distributed systems for the continuous monitoring of the dynamic hydraulic conditions in water supply networks. This project has developed a novel architecture for collecting, storing, and analysing the dynamic hydraulic behaviour of water distribution systems. This architecture was used to build an extensive collection of dynamic hydraulic pressure recordings which enabled a wide ranging analysis of the effect of pressure transients upon the performance and deterioration of distribution system assets. The work was funded by EPSRC (STREAM) and Northumbrian Water. Asher is a co-founder of Inflowmatix Ltd, a technology start-up company based on research from InfraSense Labs. Dr Manuel Herrera was a Research Associate for Infrasense Labs from January 2014 until July 2015. His research interests focussed on graph theory and network analysis and their application for improving the resilience and adaptive connectivity of sectors/DMAs (district metering areas) in water supply networks. His work was funded by the NEC-Imperial Smart Water Systems Project. Manuel now works for the University of Bath. 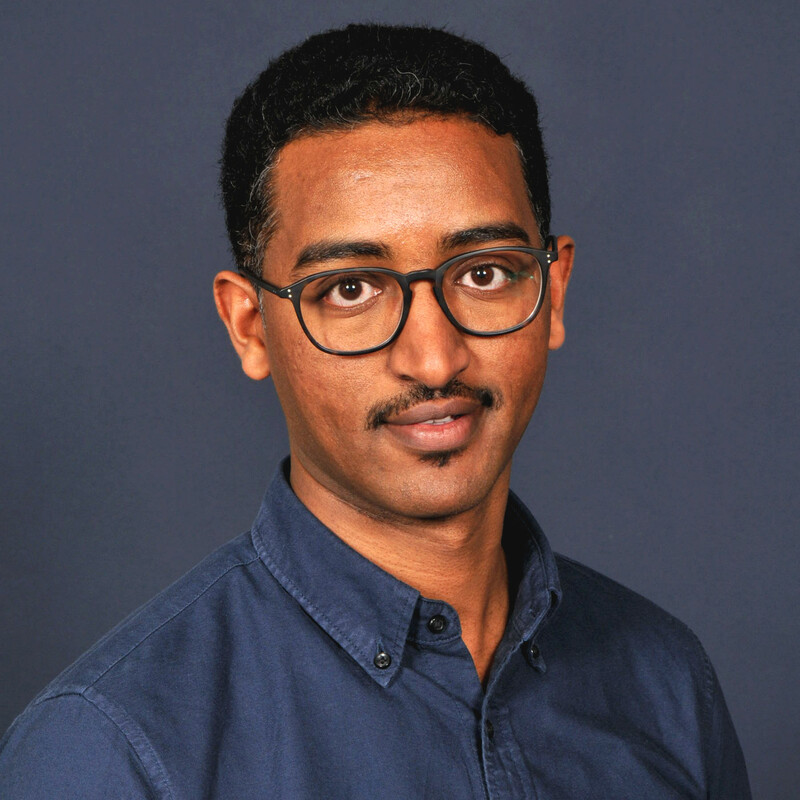 Dr Edo Abraham was a Research Associate at Infrasense Labs from January 2014 until July 2016. His research interests focussed on the development of tailored optimization, control and estimation tools for large scale water supply networks. Edo is now an Assistant Professor (tenure track) at TU Delft’s Faculty of Civil Engineering and Geosciences in the Netherlands. Dr James Dicken gained his PhD in 2013, jointly supervised by Dr Paul Mitcheson, Department of Electrical and Electronic Engineering, Imperial College London. This thesis investigates two fundamental technological challenges that prevent water utilities from deploying infrastructure monitoring apparatus with high spatial and temporal resolution: providing sufficient power for sensor nodes by increasing the power output from a vibration-driven energy harvester based on piezoelectric transduction, and the processing and storage of large volumes of data resulting from the increased level of pressure and flow monitoring. Piezoelectric energy harvesting from flow-induced vibrations within a water main represents a potential source of power to supply a sensor node capable of taking high-frequency measurements. A main factor limiting the amount of power from a piezoelectric device is the damping force that can be achieved. Electronic interface circuits can modify this damping in order to increase the power output to a reasonable level. A unified analytical framework was developed to compare circuits able to do this in terms of their power output. A new circuit is presented that out-performs existing circuits by a factor of 2, which is verified experimentally. The second problem concerns the management of large data sets arising from resolving challenges with the provision of power to sensor devices. The ability to process large data volumes is limited by the throughput of storage devices. For scientists to execute queries in a timely manner, query execution must be performant. The large volume of data that must be gathered to extract information from historic trends mandates a scalable approach. A scalable, durable storage and query execution framework is presented that is able to significantly improve the execution time of user-defined queries. A prototype database was implemented and validated on a cluster of commodity servers using live data gathered from a London pumping station and transmission mains. Benchmark results and reliability tests are included that demonstrate a significant improvement in performance over a traditional database architecture for a range of frequently-used operations, with many queries returning results near-instantaneously. James is now working for Google in California, US. 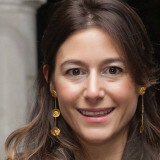 Dr Angeliki Aisopou gained her PhD at Imperial in 2010. The UK water industry is facing significant challenges in managing spatially distributed and ageing supply network. Its steady and unsteady hydraulic behaviour is poorly understood and there is little information on the extent and causes of water quality deterioration once potable water exits a treatment plant. This thesis investigates the impact of the dynamic hydraulic conditions on the kinetics of chlorine decay in water supply systems. A simulation framework is proposed which enables scale-adaptive hydraulic and chlorine decay modelling for a wide range of flow conditions. This framework includes the integration of novel instrumentation technologies for continuous monitoring with scale-adaptive modelling of unsteady flows and their impact on chlorine decay. By coupling hydraulic instrumentation and water quality sensors for in-pipe water quality monitoring a pioneering experimental and analytical investigation was carried out in a water transmission main. The results were used to validate the proposed simulation framework to model monochloramine decay under a wide range of dynamic hydraulic conditions. Within the proposed scale-adaptive simulation framework, an unsteady decay coefficient is defined which depends upon both the absolute value of shear stress and the rate of change of shear stress for quasi-unsteady and unsteady-state flows. The results demonstrate that the dynamic hydraulic conditions have a significant impact on water quality deterioration. The spatial and temporal resolution of experimental data provides new insights for the near real-time modelling and management of water quality as well as highlighting the uncertainty and challenges of more accurately modelling chlorine decay. Angeliki left the InfraSense Labs in 2011 to join the Technical University of Denmark.